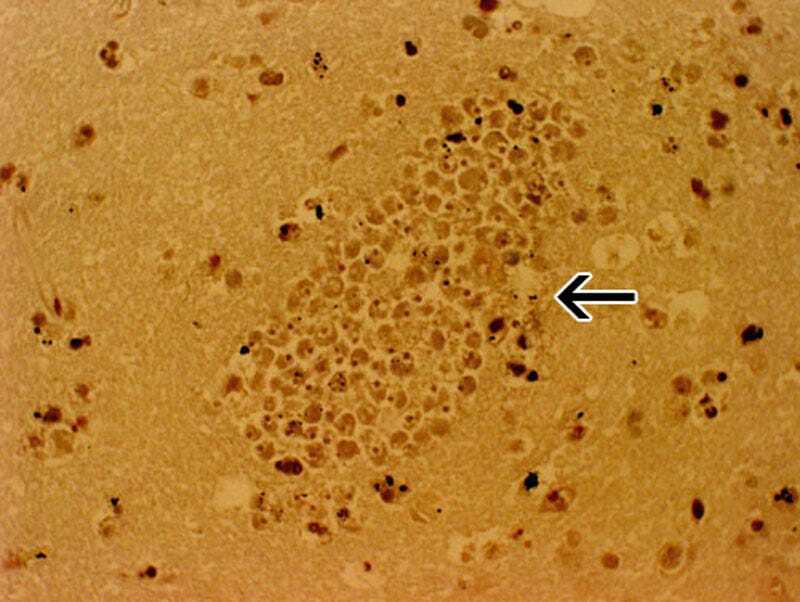 Centres for Disease Control and PreventionA section of the brain from a PAM patient shows a large cluster of Naegleria fowleri trophozoites surrounding the capillaries. 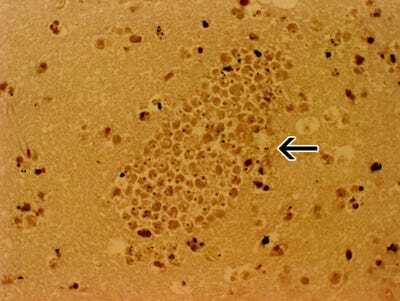 If water containing the amoeba goes up a person’s nose, it can travel to the brain where it destroys the cells. Don’t be afraid to swim. 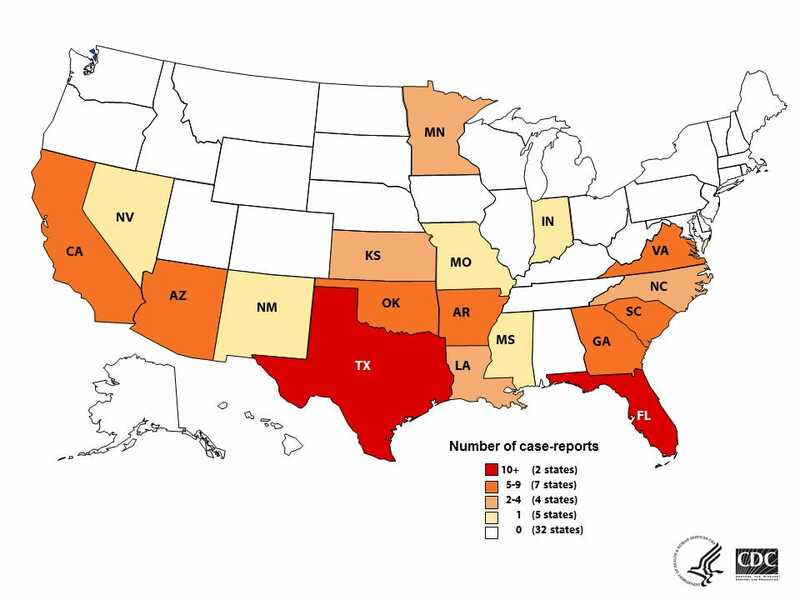 Only 37 infections have been reported in the U.S. from 2006 to 2015, despite millions of recreational water exposures in that time. And you cannot be infected by swimming in a clean pool.